Being in a style rut is bad enough. Add in a series of blah hairdos and you’re really in trouble. If you’re tired of the fun bun and the classic braid just isn’t cutting it, then it’s time to shake up your daily routine. Want the secret to revamping your hairstyle? Add a bow - it’s that simple! Lucky for you, this childhood favorite is back! No longer do you have to be six years old (or Michelle Tanner from Full House!) 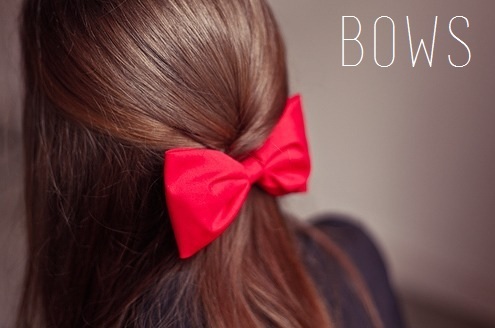 to rock a chic, preppy or ϋber feminine bow. 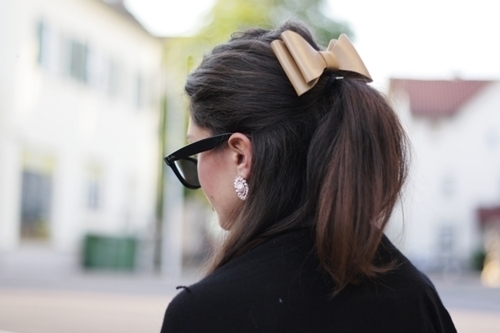 It’s now totally acceptable for 20-something fashionistas to wear a bow and look completely stylish. Be as effortless or pulled-together as you’d like, bows are a major DO this spring. 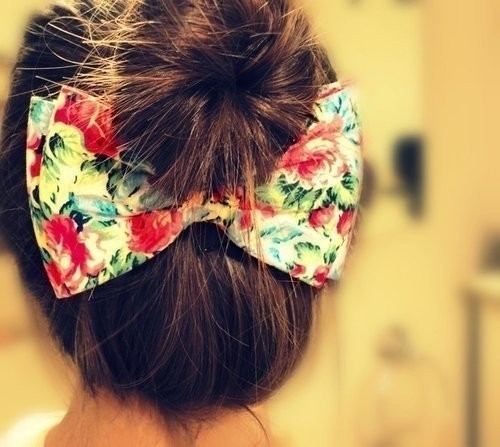 Here are six bow-tastic hairdos to emulate the next time you’re feeling uninspired! Turn an ordinary bun into a glamorous up-do by adding a large bow underneath. 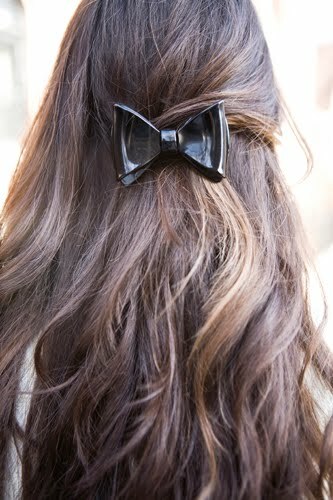 For those special occasions, dress up your hair with a gorgeous chiffon bow! The always-cute side braid just got cuter! Clip in a bow three or four inches from the bottom of your braid and you’re good to go! Whether you prefer pale pink or polka dots, either of these adorable bows will add some whimsy to your look. Take a few of your curly (or straight) locks and pin them back with a bow barrette. Sparkly and chic, what's not to love about a rhinestone hair bow? A no-nonsense way to wear a bow that never fails to impress. 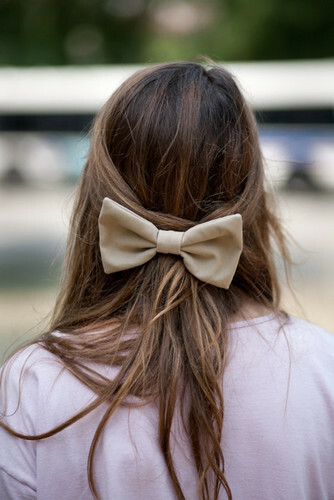 Pull sections of your hair back, fasten a bow to hold the hair in place and voilà – a sweet, feminine and timeless look! If you’re looking for a simple bow, these are for you. For a bow-tastic style that is work-appropriate, try a subtle leather one. Black is always chic! Add this bow to a pony tail for a classic look. Last, but not least, I want to spotlight the newest way to wear a bow. 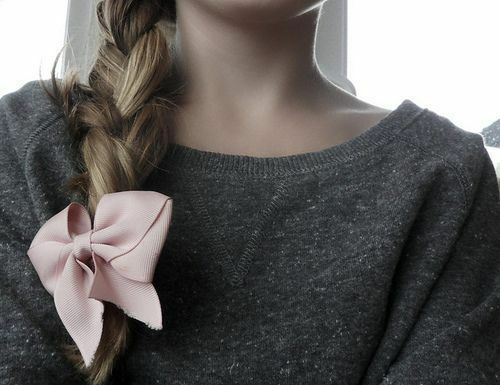 Instead of clipping a bow into your hair, with this trend you actually tie your hair into one. Crazy, right?! A brand new look is just a clip away...try one of these bows today!